Imprimer en 3D un design dans notre matériau Multicolore est facile ! Il suffit de respecter quelques règles lors du chargement de votre fichier. Découvrez ici toutes les astuces pour créer votre fichier 3D à imprimer en Multicolore. Multicolor prints undergo a slightly different process during upload than our other prints. It’s important to remember some key requirements for your file, to be sure that the colored texture of your file will be maintained during the print. At Sculpteo, we accept over 20 different filetypes that can result 3D print. For uncolored 3D prints (that being a print in any material other than our multicolor) we recommend uploading an .stl file. However, for multicolor prints, we recommend using an .obj file accompanied by the necessary texture information. You might be wondering, what is the necessary texture information? Well, when you export an .obj file, two separate files are created: an indexation file (an .mtl file which will tell the printer where the colors and texture information belong) and an .obj file (which is the 3D model’s volume and surface structure). Both of those files are needed in order to complete a multicolor print if you have used separate texture images, those must be included also in the file which will be uploaded to Sculpteo. For image or texture files, Sculpteo accepts any of the following filetypes: jpg, gif, png, bmp, tiff, xpm, tga, ico, wmf, pcx, [or] xbm. Those images might look like the image below or a simple photo which will be overlaid on the object. The image file is then interpreted with the model through an indexation file – an .mtl file. 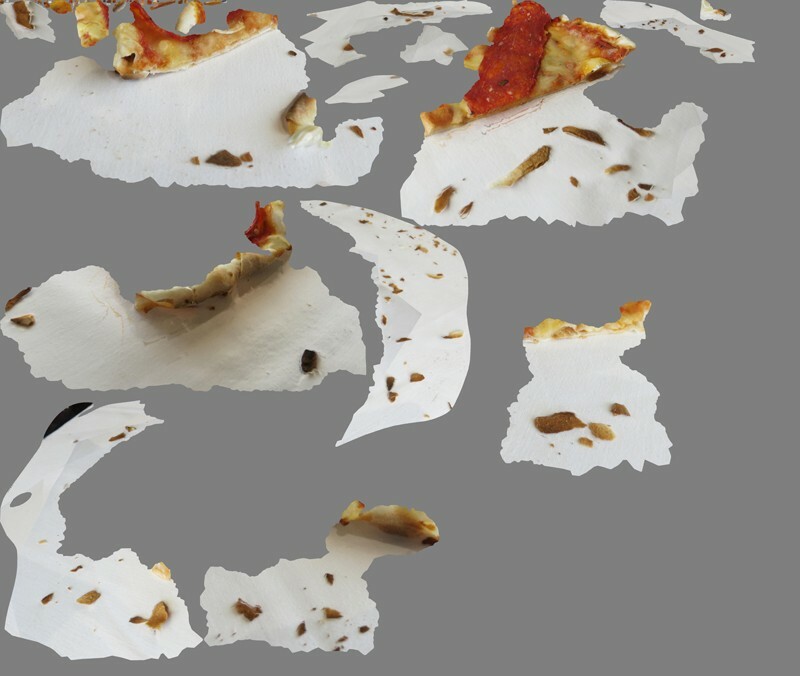 This file tells our printers what information can be disregarded (in the case of the pizza above, the gray area) and where the textures are to go on the model itself. Once a folder is created with either both (or the multitude) of those files included, a simple compression (as a .zip for example) will make for an easy upload onto the Sculpteo website. From there we have various print optimization tools which can ensure that your file will be printable. If you have any other questions when it comes to 3D printing in multicolor or the uploading process, feel free to look at our material page dedicated to multicolor. Or get in touch via the comments below!.